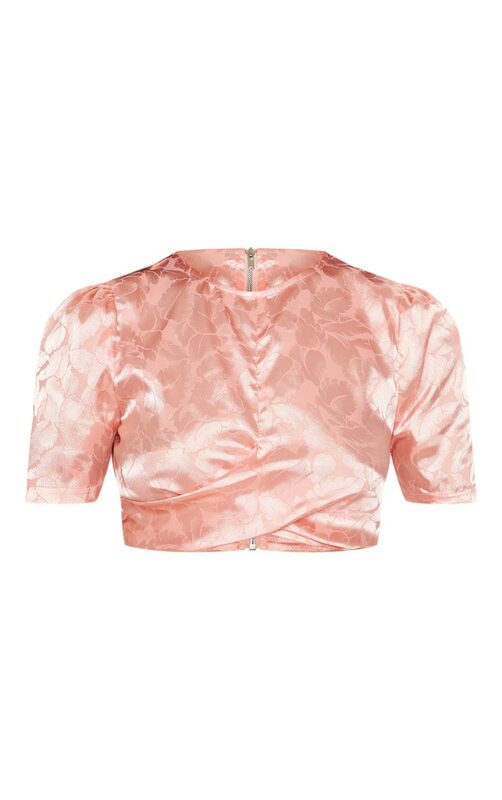 We are obsessing over all things satin right now and this crop top is a serious wardrobe staple. Featuring a coral satin jacquard fabric with short sleeves, a cropped length and zip fastening, you can't go wrong. Team with the matching culotte trousers and add your highest heels for a look we're loving.